HM80-V Vertical Magnetic Badge Holder. 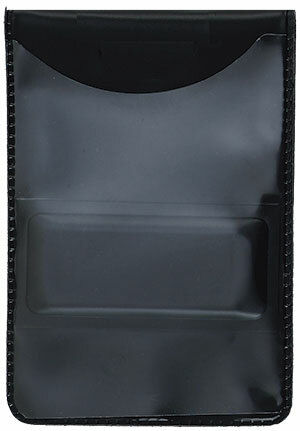 Credit Card/IBM Data Card Size clear vinyl badge holder. Features a integrated magnetic flap that allows for it to eaily fit around a pocket or other article of clothing and lock in place. Max Insert: 2-5/8" x 3-3/8"